A top official from the Southern Nevada Water Authority is calling on states that rely on the Colorado River to resolve their differences before a growing dispute derails decades of cooperation on the river. 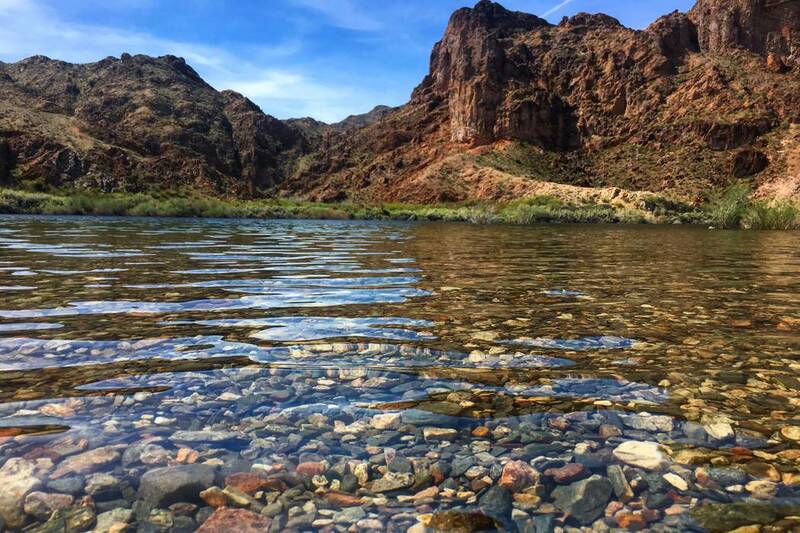 The Upper Colorado River Commission said “unilateral actions” by the Central Arizona Water Conservation District “threaten the water supply" and interstate relationships that govern water from the Colorado River that flows into lakes Mead and Powell. The Upper Basin states of Colorado, New Mexico, Utah and Wyoming have accused one of Arizona’s largest purveyors of manipulating the river system to maximize the amount of water Lake Powell releases downstream to Lake Mead. But officials from the Central Arizona Water Conservation District insist they are operating within the rules of the river as they deliver water through their Central Arizona Project canals to Phoenix, Tucson and farms in between. At the moment, that collaborative spirit is in jeopardy. The dispute concerns the complicated federal framework that governs the coordinated rise and fall of lakes Mead and Powell based on certain water-level triggers in each. The seven Western states that share the Colorado agreed to the operating rules in late 2007 in hopes of protecting minimum water levels in the nation’s two largest man-made reservoirs through 2026. But even then, Pellegrino said, water managers knew there were ways large users could manipulate lake levels to boost releases from upstream. Where Central Arizona Project officials crossed the line was in openly discussing what they were doing. The fight comes as Nevada, Arizona and California continue work on a drought contingency plan aimed at keeping Lake Mead out of shortage by voluntarily leaving more water in the reservoir. Nevada has been ready to sign the agreement since 2016, but progress has stalled in Arizona and California, where water users are still arguing over how to share the necessary cuts. Fleck said the Upper Basin states see the drought contingency plan as crucial to the overall health of the river system. In their recent letters, the Upper Colorado River Commission and Denver Water both called on Arizona to do its part to get the plan finished as quickly as possible. “I think there’s an opportunity for diplomacy here,” said Fleck, who now serves as director of the University of New Mexico’s Water Resources Program but still blogs about Colorado River issues. Pellegrino said everyone benefits when the seven states can solve their problems without the need for a costly, time consuming and unpredictable court battle.